LAS VEGAS – January 6, 2016 <<Consumer Electronics Show>> – Gibson Brands is proud to present the exciting Philips’“izzy’ wireless Multiroom Speaker Range, an easy to use and intuitive home audio solution that allows consumers to enjoy streaming music without a premium subscription, in up to five locations. While other systems restrict streaming to only one device simultaneously, requiring premium subscriptions for multiple speaker streaming, with ‘izzylink™’ technology and ‘izzy’ speakers, users simply tap a button to link multiple speakers, with no need for a router, password or even an app. Using the ‘izzylink’ wireless technology, up to five izzy speakers can be linked as a wireless network instantly. Simply play music on one izzy speaker and press the “Group” button to share the same music to other in-range ‘izzy’ speakers. 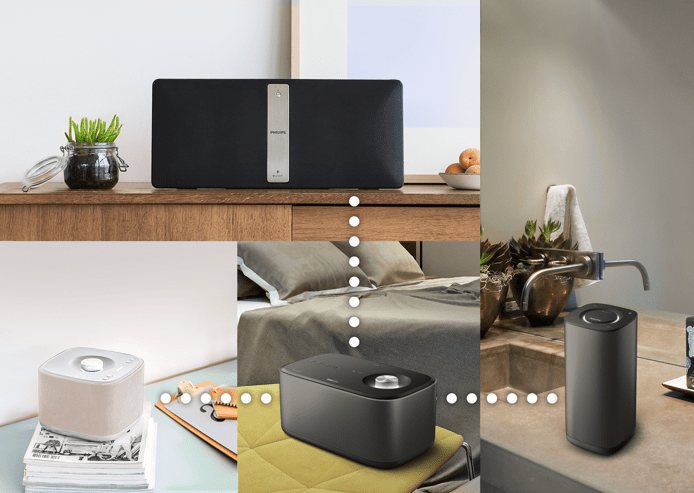 Offering even greater value and flexibility, the ‘izzy’ Multiroom Music System also allows users to choose to utilize all speakers for the same audio, or each be connected to different devices for individual uses, creating a truly flexible audio ecosystem that fits the active lifestyle of today’s music-loving consumers. ‘Izzy’ product offerings include models spanning different form factors, sound solutions and features, to allow enjoyment throughout the home and even outdoor. (see page 2 for individual model specifics). Philips ‘izzy’ speakers work with all music apps, so users can stream music wirelessly from any Bluetooth®-enabled smartphone or tablet. They support multisources including radio, CD, USB and Audio-in music. Philips izzy BM5 – A compact multiroom speaker with a minimalist appearance and simple interface. It connects easily to any Bluetooth equipped device including tablets and smartphones. Equipped with two 2.5” drivers and a bass port for a deeper low end, it delivers room-filling sound wherever it’s placed. Philips izzy BM6 – Includes Multipair, making it easy to swap music between two smart devices. Equipped with two 2” full-range drivers twinned with two opposing passive radiators, the Philips izzy BM6 delivers balanced sound with clarity. A built-in rechargeable battery and splash-proof (IPX4) design allows multi-room music to extend to the pool area, garden, kitchen, and bathroom. It is compact enough to take it outdoors as a portable Bluetooth speaker. Philips izzy BM7 – The solution for larger rooms with even greater sound requirements, the izzy BM7 is an even more powerful two-way all-in-one speaker. It comes equipped with two 3.5” woofers and two 1” tweeters with two passive radiators. Delivering high quality, wide, and rich stereo large room-filling sound with deep bass. It also comes with Bluetooth Multipair feature, making it easy to swap music between two devices, anytime. Philips izzy BM50 – A multi-room music system solution with a large range of playback options. This means a prized CD collection can be played not only on the music system, but also through the connected izzy speakers. The izzy BM50 also includes radio and USB playback as well as Bluetooth wireless streaming from smartphones and tablets. A larger selection of playback options gives users even greater flexibility in enjoying their music. The Philips izzy BM5 Multiroom Speaker is available now. Philips izzy BM6, BM7 and BM50 Multiroom Speakers will be available in May 2016. Over more than 120 years Philips has grown to become a leading, highly trusted brand in markets all over the world. An innovation leader, Philips has been responsible for groundbreaking technologies in sound and entertainment including portable radio, the compact cassette and recorder, and the compact disc. Today, Royal Philips and its brand partners continue to improve people’s lives through meaningful innovation. For further information go to www.philips.com. Gibson Brands is a global leader in musical instruments, consumer electronics, and professional audio and is dedicated to bringing the finest experiences to consumers by offering exceptional products with world-recognized brands. Founded in 1894 and headquartered in Nashville, Tennessee, Gibson Brands has manufacturing, marketing and research and development centers throughout the world. 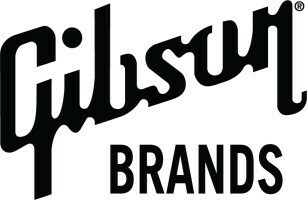 Gibson Brands is dedicated to improving the quality of life and music for its customers.